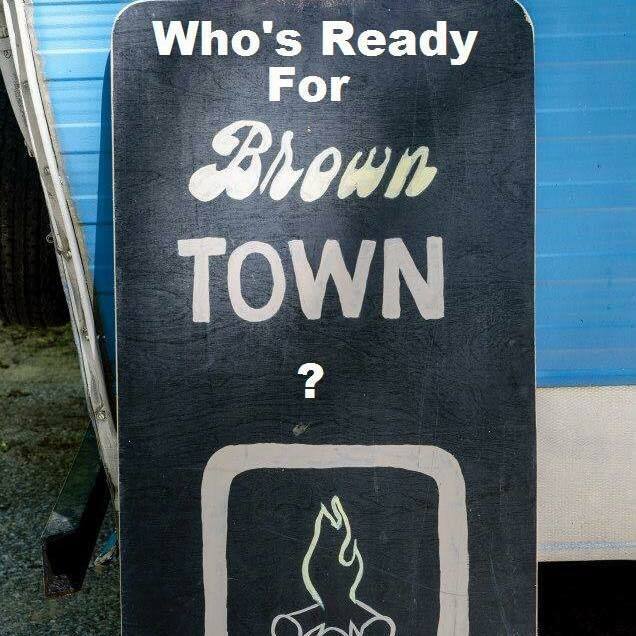 HEY EVERYONE ITS TIME FOR “BROWNTOWN” WHO’S READY???!!! IT JUST KEEPS GETTING BETTER, SO BRING THOSE TIE-DYES AND GET READY FOR A MUSICAL WEEKEND! RISING SUN CAFE WILL BE SERVING BREAKFAST SATURDAY THE 8TH FROM 7-11:00 AM. TIPPI-CANOE RENTALS WILL BE RUNNING FLOATS ALL WEEKEND, SO MAKE YOUR RESERVATIONS TODAY.